Grab your grass skirt and your lei and come out and play at Treaty Oak Distilling for our 4th Annual Tiki Fest! 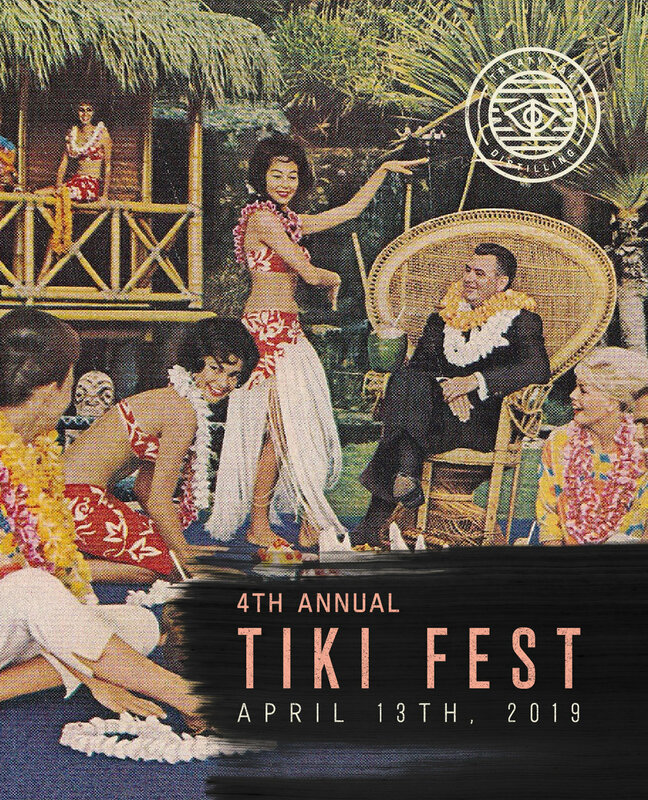 We’re excited to again offer attendees island vibes while enjoying Hill Country views complete with Hula Dancers, tropical-inspired cuisine from our kitchen and the opportunity to carve your own Tiki mug! We’ll have special tropical drinks, and a very limited release of our Treaty Oak Barrel Reserve Rum will be available for purchase all day. All afternoon enjoy the cool, surf rock sounds of The Avocados, followed by the original Caribbean sounds of steelpan, percussions, bass guitar and smooth vocals by Executive Steel Band. Join us Saturday, April 13th for a special Tiki Cocktail Class to learn about the history of Tiki and get cocktail mixing instructions from guest bartender Nick James from Austin’s own Pool Burger. Classes are at 2:30PM and 4:30PM. Limited spots available, so reserve before the classes fill up! Learn more and purchase tickets for the Tiki Cocktail Class. Learn how to carve, stamp and color a ceramic tiki cup that will be fully functional. You will be provided with a wheel thrown blank cylinder ready for relief carving. Only 12 spots available! Learn more and purchase tickets for the Tiki Mug Carving Workshop.